Pixel art will never go out of style. Even at its worst, there will always be a loyal fanbase that prefer the look of stylish retro graphics, but the past few years have seen a resurgence in the popularity of pixel art thanks to the rise of indie games 4 Video Game Blogs You've Never Heard Of That You Should Read 4 Video Game Blogs You've Never Heard Of That You Should Read Dig a little deeper and you'll find some awesome sites that offer new value to the gaming blogosphere. Read More . Some might say that the pixel art era was the golden age of gaming 3 Things I Miss About Old School Video Games 3 Things I Miss About Old School Video Games Times change, and I understand that; but does that mean I cannot yearn for the old days? I cannot be the only one who misses some things about the good old days of video games,... Read More . Indeed, pixel art is so beloved that some even replicate its aesthetic using homemade bead creations, as seen in this collection of gaming gifts 10 Cool Gaming Items You Can Get On Etsy For Under $20 10 Cool Gaming Items You Can Get On Etsy For Under $20 It can be hard to find unique and interesting items on Etsy. We dug through and found some of the best stuff you can get for $20 or less. Read More . But as simple as it seems, pixel art isn’t exactly easy, especially if you use the wrong tools. 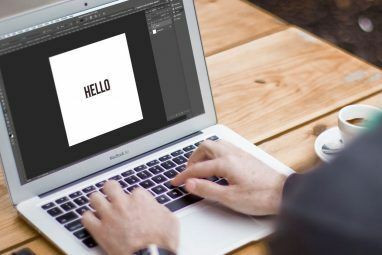 Despite all of the free image editing programs 10 Free Image Editing Programs for your PC 10 Free Image Editing Programs for your PC Read More available, nothing beats the sheer power and flexibility of Adobe Photoshop — as long as you set it up correctly. Note: All of these instructions are based on Photoshop CS6 Photoshop CS6: Your Ultimate Overview Photoshop CS6: Your Ultimate Overview Whether you're looking to get the most out of your copy of CS6 or wondering whether it's worth the upgrade, this ultimate outline will teach you all of the tricks and tools. Read More , but can be followed in other versions of Photoshop without much deviation. First things first, you have to turn on the grid. Pixel art is inherently a grid-based art because you’re dealing with a grid of individual pixels. Without a visual guide to where these pixels are, the actual artistry becomes more frustrating than fun. Skip this step at your own peril. In the menu, go to Edit > Preferences > Guides, Grid & Slices. In the resulting window, you’ll see a Grid section. Set the Color and Style however you like, but make sure that Gridline Every and Subdivisions are both set to 1. Click OK to save. Then, go to View > Show > Grid to enable the actual grid. While the grid mentioned above is helpful, it can be a bit difficult to tell which particular pixel you’re working with. Maybe not so much if your image is only 8×8 or 16×16 in size, but it’s a different story when you’re working with graphics that are 32×32, 64×64, or bigger. First, enable the ruler by going to View > Rulers. Once the rulers are visible — there should be one along the top and one along the left — you can right click on either, then select Pixels. Now you have a quick guideline that you can use for estimating your pixel positions. While the ruler guidelines are great for quick glances and rough estimations, sometimes you need to know the precise location of the mouse cursor. Fortunately, there’s an option that lets you see these details in real time, and it’s appropriately called the Info Window. Go to Windows > Info to enable it. A panel will open up that shows the X and Y position of the cursor, and if you do any drag-related action (such as box selection), it will also show the Width and Height of the drag. But if you want pixel-perfect precision with the Magic Wand, you’ll need to reduce the Tolerance down to 0. Higher tolerances are useful when dealing with photographs and such, but not so much when you’re working with individual pixels. Other tools, like the Gradient tool, also rely on a Tolerance value to determine which pixels get filled. Always set Tolerance to 0 when working with pixel art. In addition, when applicable, always uncheck Anti-Alias and always check Contiguous when working with pixel art. Have you ever completed an image only to realize that it’s too small or too big? 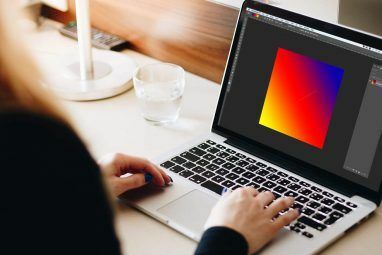 The quickest fix is to directly stretch or shrink the image, but Photoshop can be finicky when it comes to resizing because, by default, it uses a Bicubic interpolation algorithm. Fortunately, you can change which algorithm is used. First, go to Edit > Preferences > General to open up the Preferences window. Here you’ll find an option labeled Image Interpolation with a dropdown menu. Change it from Bicubic Automatic to Nearest Neighbor, then click OK.
Now when you resize an image up or down, Photoshop will directly scale the colors based on the source pixels. No more blurry edges and no more fuzzy artifacts. As a pixel artist, you’re going to spend a lot of time zoomed in on the image you’re working on. This means that if you want to see what the image looks like at normal magnification, you’re going to be doing a lot of zooming out and zooming back in. That is, unless you open up a separate viewing window. It’s pretty simple to set up. Go to Window > Arrange > New Window for [Project Name]. And then, if you select Window > Arrange > Tile All Vertically, you’ll see two copies of your image side-by-side. Zoom in on one and keep the other at 100% zoom for maximum convenience. 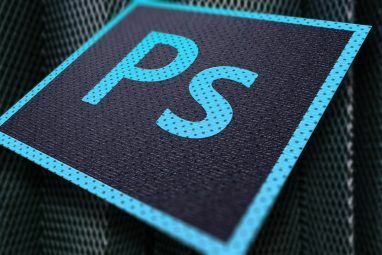 Photoshop might be intended for photo manipulation, but with a few simple tweaks, it can be a productive powerhouse for pixel artists. That being said, don’t feel obligated to use it if you don’t want to; in fact, when it comes to free software, few can beat the viable Photoshop alternative, GIMP Better Than Photoshop? Make GIMP Even More Powerful With These Plugins Better Than Photoshop? Make GIMP Even More Powerful With These Plugins We all know that Photoshop is the premiere application for image and graphics manipulation. It simply does everything you could possibly want, which is the reason why most professionals choose it and why your wallet... Read More . Now that your workflow is set up, maybe it’s time to sharpen your actual art skills. Check out these awesome pixel art resources 7 Websites For Pixel Art Tutorials And Creative Inspiration 7 Websites For Pixel Art Tutorials And Creative Inspiration If you stare at a computer screen, then you know what pixels are all about. On the computer screen or even on mobile ones, you would have come across pixel art. The popularity of pixel... Read More for tutorials and guides, and tune into these creative art Twitch channels Watch Artists Work In Real-Time on These 4 Twitch Channels Watch Artists Work In Real-Time on These 4 Twitch Channels One effective way to learn digital art is watching live experts draw and teach in real time. Did you know that Twitch.tv has a category dedicated to Creative Arts? Read More to watch artists in real time. And if you want to expand past pixel art, don’t skip these digital art tutorials 5 Online Sources For Digital Art Tutorials 5 Online Sources For Digital Art Tutorials Every so often, I believe that everyone has some sort of creative urge. Whether it turns into a beautiful painting on canvas or simple bathroom graffiti, it's all driven by the same fire. Fortunately, with... Read More . 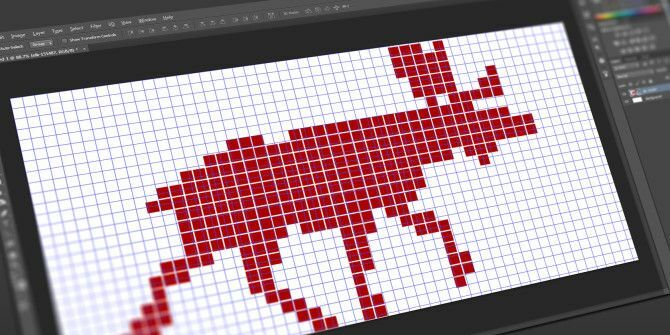 Do you use Photoshop for pixel art? Know any other tips and tricks for productivity? Or if you use different software, what do you use? Tell us in the comments below! Explore more about: Adobe Photoshop, Pixel Art.